There’s a reason why membership and loyalty programmes are still being used by companies today; they work. According to this marketing article on INVESP, 69% of consumers will choose retailers based on where they can earn loyalty reward points. Cryptocurrency is a relatively nascent industry, but still very much subject to human nature. This is probably what MBAex is trying to tap into with the launch of its upcoming token. MBAex is a Southeast Asian-based blockchain-assets exchange with a presence spread across other continents as well (34 countries at the moment). Its full name is MBAex Online Pte. Ltd. In fact, it happens to be one of the few top exchanges that actually reveals its legal name to the public. You’ll see 4 types of the most known cryptocurrencies on their platform: Bitcoin, Ethereum, Litecoin and Bitcoin Cash. Dealing with cryptocurrencies on a daily basis, they will launch their loyalty programme the best way cryptocurrency knows how—through a utility token. Their utility token can reduce transaction fees. Investors of this upcoming token—named MDP—will firstly be looking at reducing their losses through one of cryptocurrencies’ biggest money-suckers, the transaction fees. Therefore, membership through MDP allows you to get discounts on transaction fees, without limits on how many transactions you make in a month. 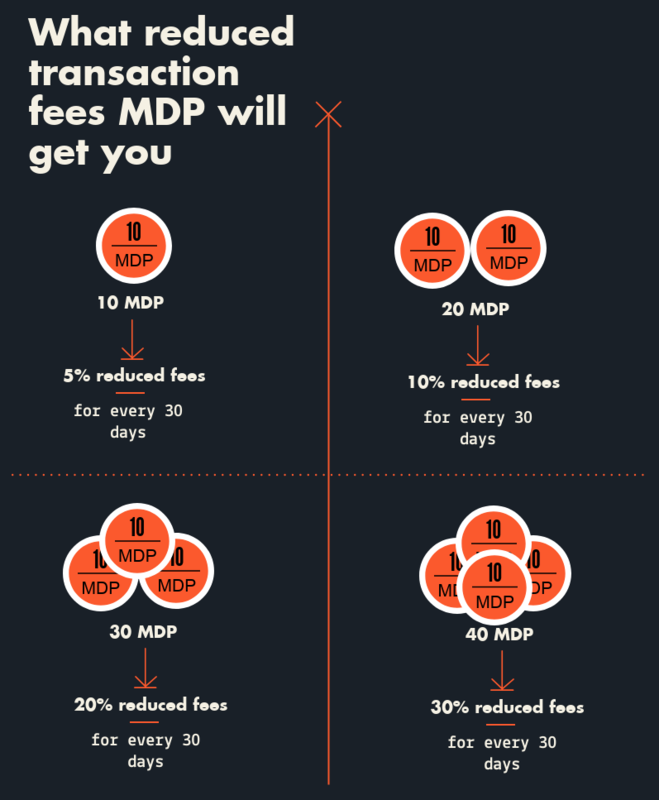 The more MDPs you utilise in a month, the greater your transaction fee discounts. For example, if you spend 40 MDPs on the website, you’ll get a 30% reduced transaction fee for your account. A full breakdown of the value MDP for transactions can be found on their website. The tokens will be purged after use, and considered a member fee. All token use will be recorded on their blockchain browser too, in case you want to keep tabs on exactly how much you’ve used. They also hope that this will keep MDP’s “very limited and valuable”. And they’re launching this token as a stepping stone towards a bigger goal. This is all part of MBAex’s drive to provide value-added services to large enterprises. Jumping off their new token, MBAex will forge a Consortium Blockchain Ecosystem. This utilises blockchain’s decentralised nature to open up trading into an ecosystem, with the MDP token at the center of it all. The goal is for MDP to expand beyond just the MBAex platform. To increase MDP’s value there will be an MDP Trading Zone that will use their token as the base currency, much like Bitcoin is for many exchanges. 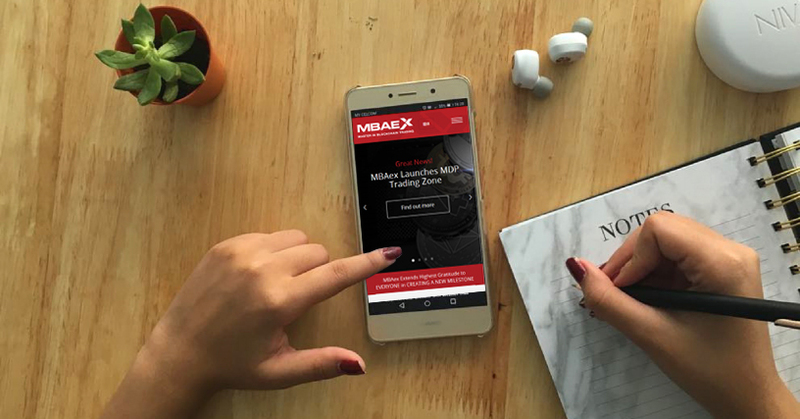 This follows a string of innovative measures taken by MBAex since the start of 2018, which included a site relaunch to make coin transactions between users more user-friendly. They also formed a coalition of blockchain enthusiasts that have banded together to help Malaysians understand the technology underlying the famed Bitcoin, blockchain. This is all in a fight to hold blockchain high in the Malaysian consciousness, even if “many companies in the field have left Malaysia”. To find out more about MBAex and get your hands on MDP, you can visit their website here.